Remove the thin papery membrane from the bone-side of the ribs by working the tip of a butter knife or a screwdriver underneath the membrane over a middle bone. Use paper towels to get a firm grip, then tear the membrane off. When ready to cook, start the Traeger grill on Smoke with the lid open until the fire is established (4 to 5 minutes). Rub ribs generously with your favorite pork dry rub. Smoke the ribs, meat-side up, for 3 hours. Transfer the ribs to a rimmed baking sheet but leave the grill on. Set the temperature to 225 degrees. Tear off long sheets of heavy-duty aluminum foil (2 sheets per rack of ribs). 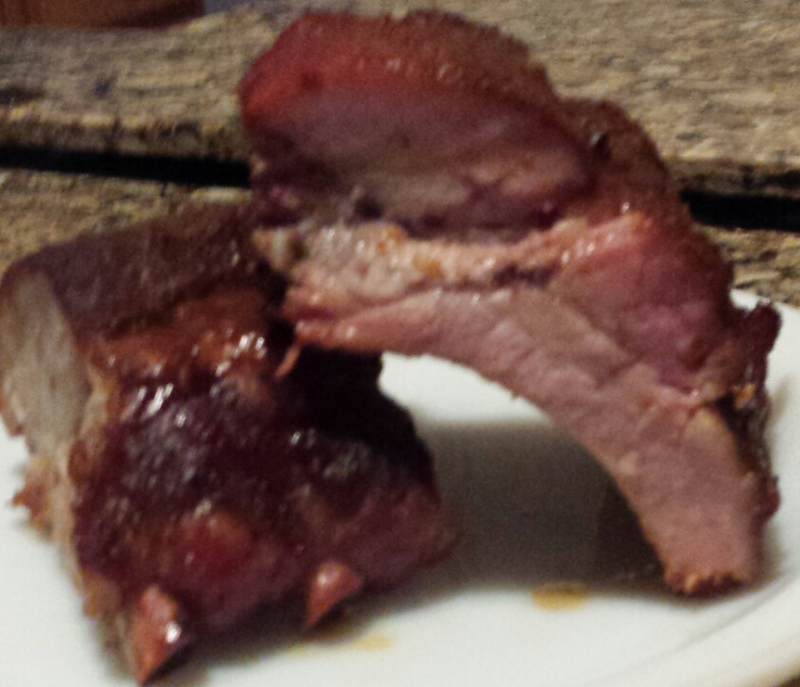 Place rack of ribs on foil; pull up the sides to keep the liquid enclosed. Baste ribs with your favorite BBQ sauce. Return the ribs to the grill and cook for an additional 2 hours. Carefully remove the foil from the ribs-watch out for hot steam-brush the ribs on both sides again with your favorite BBQ sauce. Discard the foil. Arrange the ribs directly on the grill grate and continue to grill until the sauce “tightens”, 30 minutes to 1 hour more. Let the ribs rest for a few minutes before serving.